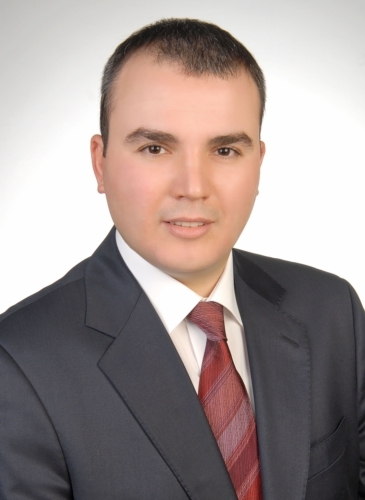 ISTANBUL and BIELEFELD, Germany, July 12, 2012 /PRNewswire/ -- itelligence AG, the world's leading SAP partner for the mid-market, is announcing its majority investment in Turkish SAP consulting company Elsys, which is based in Istanbul. itelligence AG is acquiring 60% in this SAP Gold Partner. This investment is part of itelligence's systematic growth strategy focusing on further international expansion and its growing service portfolio. Elsys was founded in 2000 and employs around 180 staff. In 2011, it generated sales of around MEUR 11.5. Thanks to its own industry solutions based on SAP Business All in One and its in-depth expertise, especially in the automotive, fast moving consumer goods (FMCG), retail, textile, and pharmaceutical industries, Elsys has proven itself as the leading SAP consulting company in Turkey. Elsys's offering comprises the full lifecycle of an SAP solution with license sales, consulting, maintenance and application management services. Herbert Vogel, CEO of itelligence AG, commented: "In Elsys, we have found one of Turkey's best SAP partners to further advance our internationalization. We are therefore filling a strategic "white spot", comprising not just the market in Turkey, but also the Black Sea region and the Middle East. Elsys's product offering and corporate culture are an excellent fit for us and I am looking forward to working together with them." Norbert Rotter, CFO of itelligence AG, said: "itelligence's investment in Turkey means the company is breaking new economic and cultural ground in the bridge between Europe, Asia, and Africa. We have selected and planned this acquisition very thoroughly. We have had good business relations with Elsys for years and anticipate positive effects for our international customers, especially in Germany. We will also exploit the advantage that Germany is Turkey's biggest trading partner by far." Savas Komban, CEO of Elsys, said: "The corporate cultures fit together very well and we will benefit from the deep mutual understanding of SAP and consulting. Working together will create entirely new opportunities for itelligence and Elsys and for new markets and services to benefit our Turkish customers, our international customers, and our employees in equal measure." itelligence AG will integrate Elsys into its Eastern Europe segment, which will be headed by Executive Vice President, Head of Region Central & Eastern Europe and Head of Global Application Management, itelligence AG, Lars Janitz. itelligence is one of the leading international full-service providers of solutions in support of SAP solutions, employing more than 2,500 highly qualified employees in 21 countries and in five regions (America, Asia, Western Europe, Eastern Europe and Germany/Austria/Switzerland). As a frequently awarded SAP partner, among others global value-added reseller, SAP Certified in Cloud Services and SAP Gold Partner Business ByDesign, itelligence realizes complex projects in the SAP solution-based environment for over 4,000 customers worldwide. In 2006, itelligence obtained gold-level status as an SAP channel partner as part of the SAP PartnerEdge™ program in Germany, and in the U.S. in 2007. The company's services in support of SAP solutions range from consulting and licensing to outsourcing and services to proprietary industry-specific SAP. In 2011, itelligence generated total sales of EUR 342.4 million.